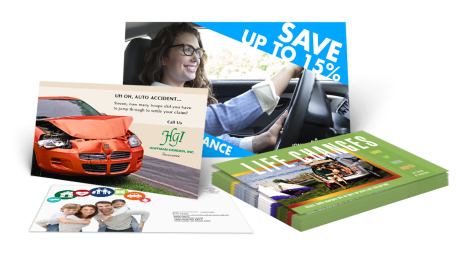 Stand out in a crowded mailbox with custom postcards for your insurance agency. From standard to jumbo postcards, your agency's campaign is in good hands. We also carry a wide variety of predesigned insurance postcards. 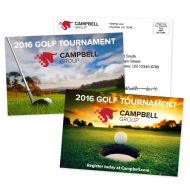 Custom postcards are a proven promotional asset for the Insurance industry. Whether you are crafting a business-to-business marketing campaign, or a business-to-consumer direct mail campaign, a custom postcard will stand out and give your brand an extra promotional push. 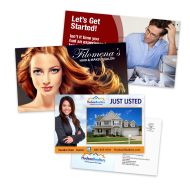 In fact, postcard marketing has even emerged as one of the single best ways to drive customers and prospects to your website and social media.